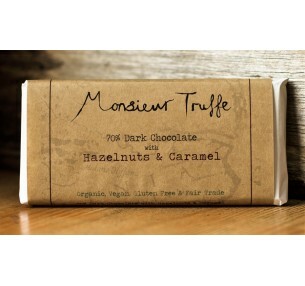 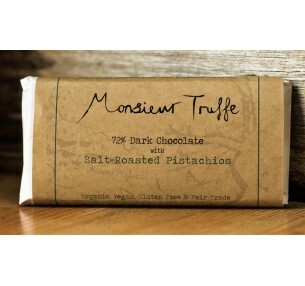 Monsieur Truffe 72% Dark Chocolate shards are topped with cacao nibs and freeze-dried raspberry sprinklings for indulgent taste and texture. 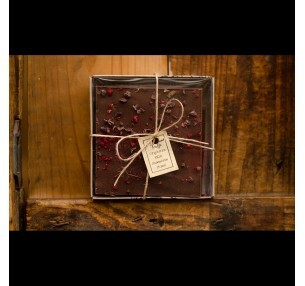 Presented in an elegant gift box, this Gluten free, Vegan friendly and Organic treat will be a well received gift. 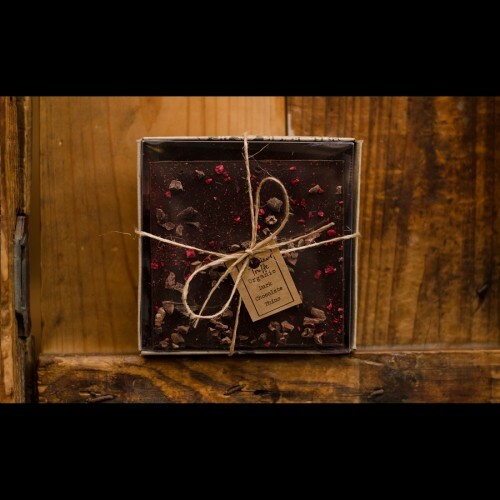 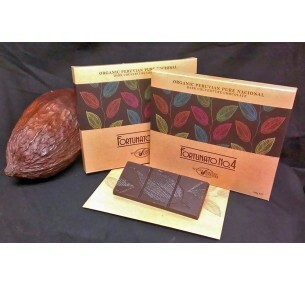 Organic Cocoa Mass, Cane Sugar, Organic Cocoa Butter, Vanilla Extract, Cacao Nibs, Freeze Dried Raspberry.